Thank you for visiting Cheseldine Auto Sales of California Maryland. Cheseldine Auto Sales of California, Maryland 20619 is a used car dealer that is in the business of offering for sale quality pre-owned cars, SUVS, and trucks both domestic and import in California Maryland 20619. Drop by Cheseldine Auto Sales or call ahead if you would like to schedule an appointment to view our entire inventory or a specific vehicle. Feel free to compare our prices and selection of quality California Maryland pre-owned cars, SUVS, and trucks against the prices of other used automobile dealerships in the California Maryland area. Our prices are competitively priced for quality used cars, SUVS, and trucks. Whether you are planning to buy a pre-owned car, SUV, and truck now or will be buying a pre-owned car, SUV, and truck in the future, Cheseldine Auto Sales of California, Maryland 20619 offers for sale an extensive selection of pre-owned cars, SUVS, and trucks at great prices. In addition our quality, sales and satisfied customers prove it! From our convenient location on 45440 Miramar Way California,Maryland 20619 we serve California, Lexington Park, Leonardtown, Coltons Point, Abell, Oakley, Lusby, Piney Point, Callaway, and surrounding areas. Having trouble finding the use car that you are looking for? Let Cheseldine Auto Sales of California help you find a specific pre-owned vehicle that you are looking for. Contact Cheseldine Auto Sales using the CAR FINDER PAGE and let us help you locate the pre-owned car, SUV, or truck that suits your specifications! We at Cheseldine Auto Sales also can offer financing of that new to you used car. Let us know how we can assist you with your used car buying experience. Contact us or stop by Cheseldine Auto Sales today and see for yourself why dealing with us is a different way to purchase a pre-owned car, SUV, or truck in California Maryland! Cheseldine Auto Sales in MD has a dedicated and knowledgeable group of sales employees with many years of experience satisfying our customer's California Used Cars needs. Feel free to browse Cheseldine Auto Sales's Used Cars California inventory online, request more information about vehicles. Cheseldine Auto Sales is located in California, MD. As a Used Cars lot just outside of California who offers great prices for Used Cars inventory to all of our neighbors in Leonardtown, Prince Frederick. Customer satisfaction is our top goal at Cheseldine Auto Sales. We at Cheseldine Auto Sales look forward to serving your Used Cars needs and we hope that we can help you with your next Used Cars inventory purchase. We have helped customers from Abell, Avenue, Broomes Island, Bushwood, California, Callaway, Chaptico, Clements, Coles Point, Coltons Point, Compton, Dameron, Dowell, Drayden, Great Mills, Helen, Hollywood, Leonardtown, Lexington Park, Loveville, Lusby, Mechanicsville, Morganza, Park Hall, Patuxent River, Piney Point, Port Republic, Prince Frederick, Ridge, Saint Inigoes, Saint Leonard, Saint Marys City, Sandy Point, Solomons, Tall Timbers, Valley Lee with their Used Cars needs and we look forward to helping you too. Give us a call at 301-862-2277. Cheseldine Auto Sales, a California serving MD dealer is one of the many Used Cars lots that sells Used Cars inventory to customers in the surrounding cities such as Leonardtown, Prince Frederick. We carry a complete selection of used cars for sale, used vehicles, usedcars, pre-owned cars available in our dealership located in California, MD. At Cheseldine Auto Sales, we like to think of ourselves as the one place to go for all your Used Cars needs in the California area. 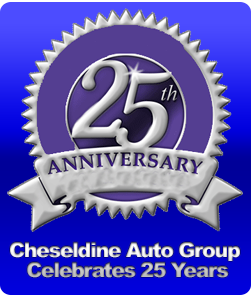 At Cheseldine Auto Sales in MD, customer service is our big goal. If you plan to buy used cars for sale, used vehicles, usedcars, pre-owned cars, you will always find great prices at our dealership. Our Used Cars lot in California, MD sells many Used Cars inventory and many happy customers. Because of our outstanding service and great prices, customers travel from all over the great state of MD and California to visit Cheseldine Auto Sales. At our dealership we have helped many customers with their Used Cars needs from cities such as Abell, Avenue, Broomes Island, Bushwood, California, Callaway, Chaptico, Clements, Coles Point, Coltons Point, Compton, Dameron, Dowell, Drayden, Great Mills, Helen, Hollywood, Leonardtown, Lexington Park, Loveville, Lusby, Mechanicsville, Morganza, Park Hall, Patuxent River, Piney Point, Port Republic, Prince Frederick, Ridge, Saint Inigoes, Saint Leonard, Saint Marys City, Sandy Point, Solomons, Tall Timbers, Valley Lee because they know they won't find a better service or help when purchasing their next Used Cars inventory.